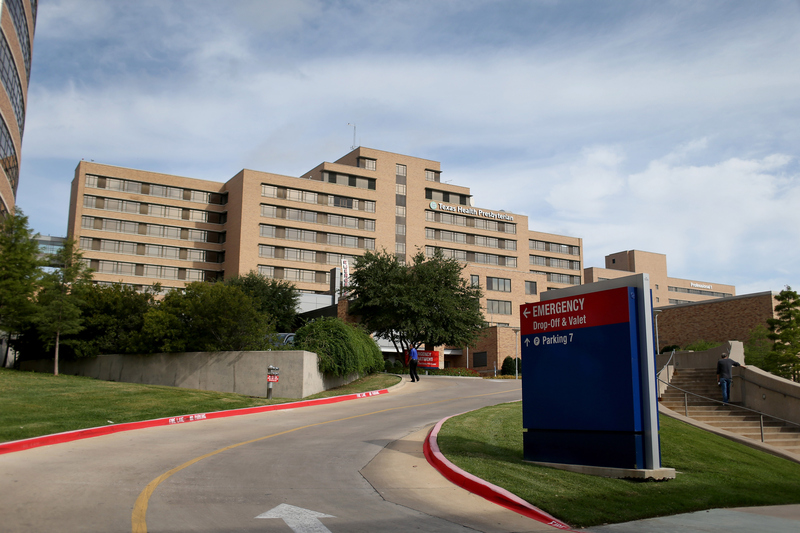 In a serious display of negligence at Texas Health Presbyterian Hospital, Thomas Eric Duncan was released with a 103-degree fever during his initial visit to the emergency room, and his temperature flagged with an exclamation point on the hospital's record-keeping system. Duncan's family, outraged that he had not been admitted on his first visit to the ER, provided the Associated Press with his medical records — over 1,400 pages of it. The records document the first Ebola-diagnosed case in the U.S., from Duncan's first visit to the ER to his return two days later to his condition as it rapidly deteriorated, culminating in his death on Oct. 8. Duncan also told a nurse of his recent trip to Africa and had displayed other symptoms that could indicate Ebola, according to the AP report, but after a succession of tests he was sent home. They had also questioned the decision to keep Duncan in the Dallas hospital, instead of sending him to Emory University Hospital in Atlanta, where now-survivors Dr. Kent Brantly and Nancy Writebol, the first two Americans who were diagnosed with the disease in West Africa, received treatment. Emory University Hospital is more well equipped and prepared than Texas Health Presbyterian Hospital to deal with the virus. With Dr. Brantly and Writebol, Emory University Hospital were expecting Ebola patients, a crucial factor when dealing with a disease so unfamiliar in the U.S. The release of Duncan's medical records calls into question the level of care and thoroughness that medical officials are expected to provide. A few days before Duncan returned the the U.S. from Liberia, the Center for Disease Control (CDC) issued a checklist to hospitals across the nation for "Ebola Preparedness." Besides their failure to diagnose Duncan with Ebola on the first visit, the hospital has also repeatedly "changed its account of what the medical team knew" when Duncan was released on his first visit on Sept. 26, said the AP report. An Ebola outbreak was announced in March, but global response has been slow — the World Health Organization (WHO) only declared a public health emergency five months later, in August. In West Africa, the disease has infected 8,000 people and taken more than 4,000 lives. In an effort to prevent the disease from spreading, the CDC is now following up on 38 people who have some degree of exposure to Duncan and his family. While it's not clear exactly how they are doing so, the four people who are living in the Dallas apartment Duncan was in are being isolated in a private residence. Duncan's body remains highly infectious, as the disease lingers in moist body fluids and tissues at room temperature. The CDC has issued a guideline on proper handling of the bodies of Ebola victims. Sgt. Michael Monnig, the Deputy County Sheriff, was also recently admitted to the same hospital after exhibiting symptoms of Ebola. He had accompanied two Dallas county health officials to Duncan's apartment to obtain a signature for a quarantine order. According to USA Today, none of them wore protective gear, to Monning's strenuous objections. In the wake of Duncan's death, let's just hope the response to Ebola from here on out is swift and decisive.